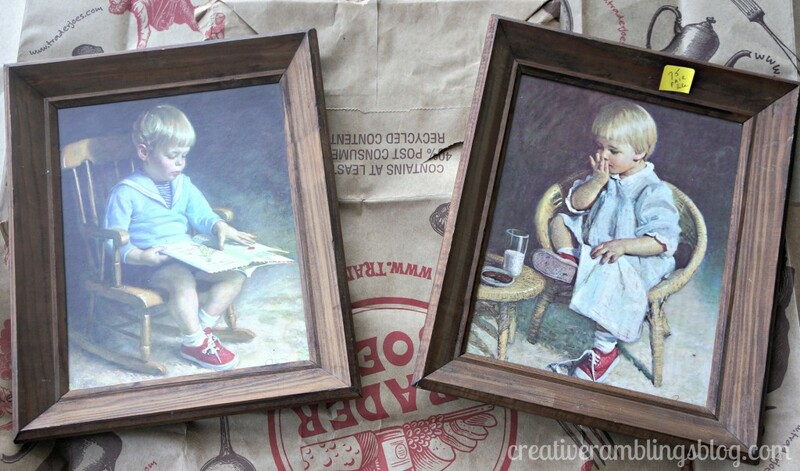 I picked up a couple frames at a garage sale earlier this year, 2 for $.75. The wood was substantial and the pictures were set back, I knew I would use them for something eventually. This week I found a use. In my living room, which is still pretty bare, we have a large leather ottoman that functions as a little bit of everything. It is little lady’s preferred spot to watch TV and do puzzles. It’s a footrest, a table, and general catchall. It has a few tufted areas which does not make it a good spot for a drink or dish. 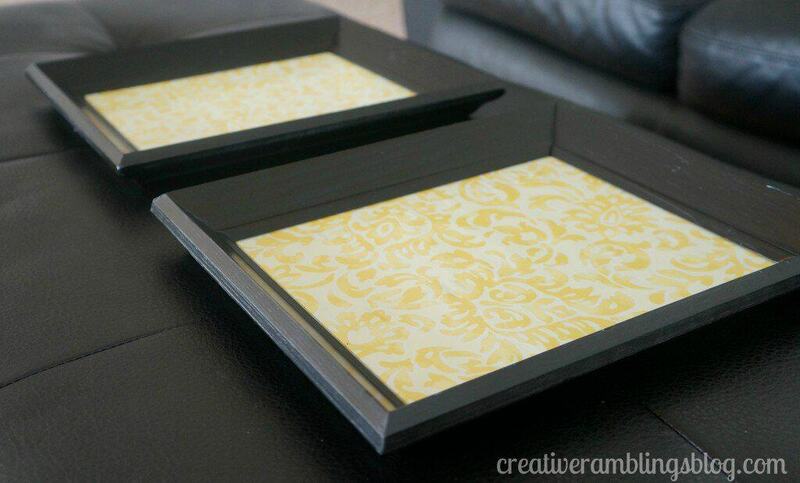 I decided to take these frames and turn them into trays – functional trays. I started by priming and painting the frames a satin black. 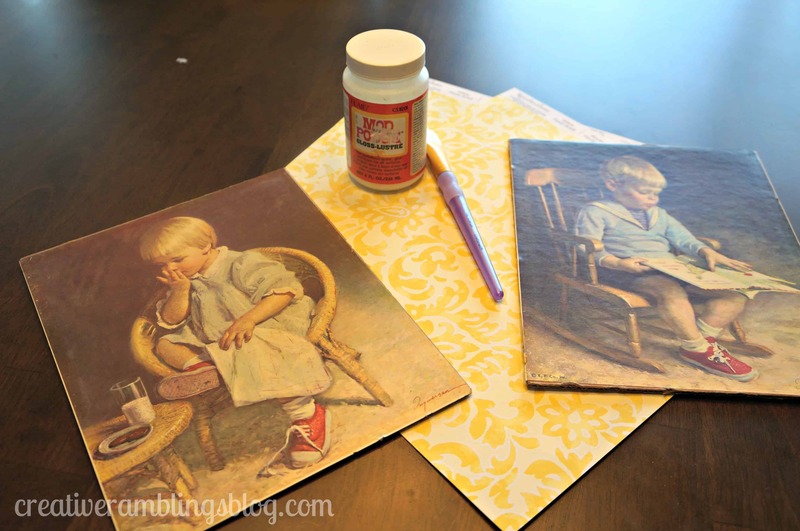 Then I removed the pictures and covered the backing with a pretty yellow and white paper. I assume these will get more use by little lady than anyone else so to keep them looking nice I covered the pretty paper with clear contact paper. 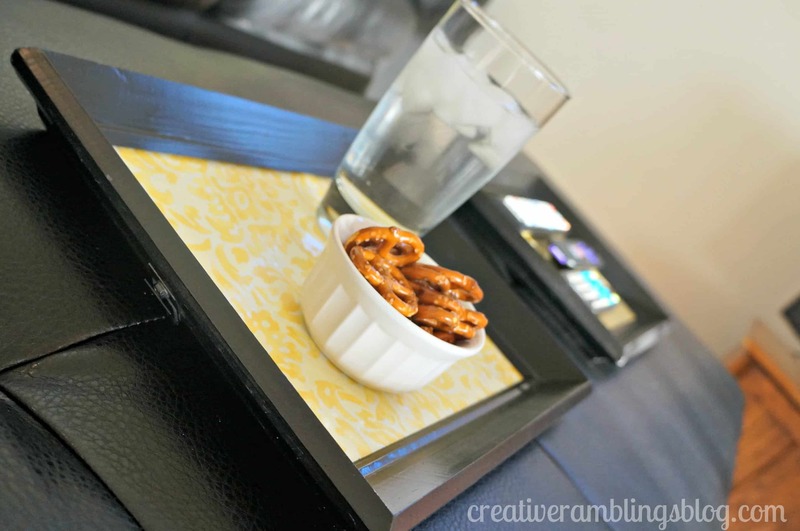 The sides of these trays are nice and deep so they will corral whatever we can spill in them. A quick and easy upcycled project. Glad you like it, thanks for stopping over. Hi Kayla, I’ll head over and check it out. Thanks for stopping by. 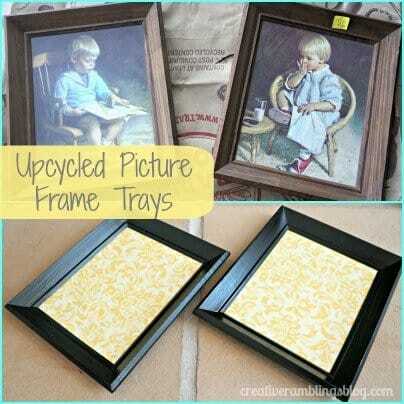 Love these repurposed picture frames! Great idea and they only cost 75 cents…Score! Thanks for stopping by the blog! 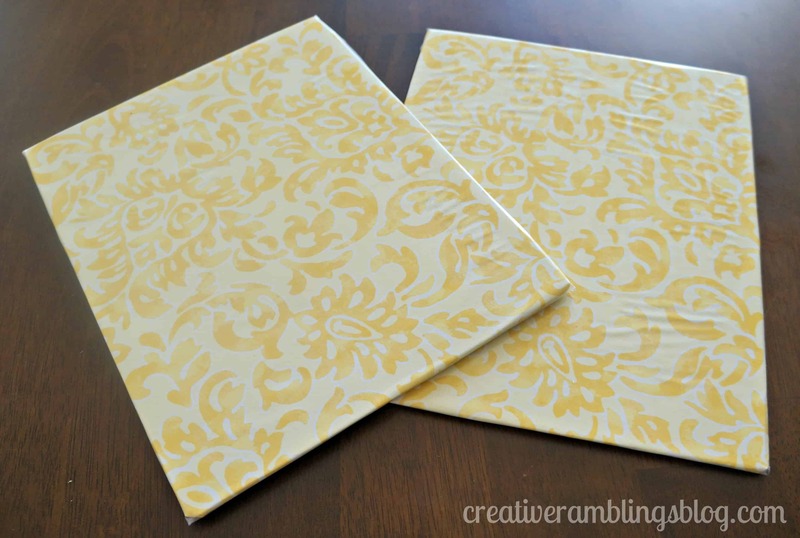 A project is so much better when it’s super inexpensive! Thanks for stopping by Katie. Absolutely love this!! Great idea! Thank you! I’ll stop over and check out your party. .75? Holy Cow!! Great transformation! I love the paper you used. Great design! Thank you so much for linking up your Thrifty Upcycle with us at Get Your DIY On- I hope you’ll join us today and link up any spray painting projects you have had 🙂 Have a great Sunday! Thanks Mandy, yeah $.75, awesome deal. I’ll be back over today with another project.